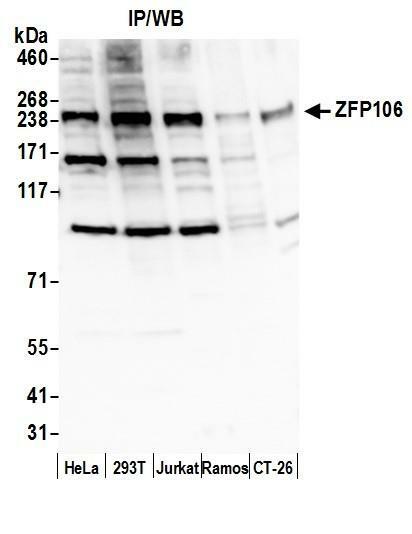 Zinc finger protein homolog 106 (ZFP106) is a C2H2-type zinc finger protein that also contains 2 WD repeats. 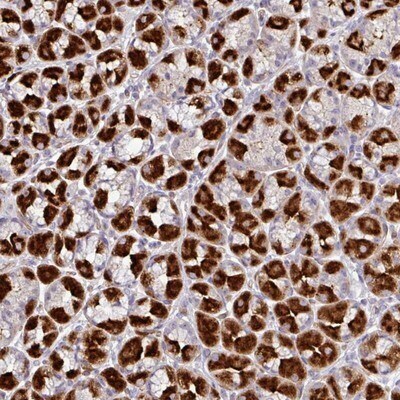 ZFP106 is highly expressed in striated muscle, brown fat, and developing brain and is regulated by myogenin and nuclear respiratory factor-1 (NRF-1). ZFP106 localizes to the nucleus in association with nucleolar transcriptional machinery. The WD40 repeat in ZFP106 appears to facilitate targeting of ZFP106 to the nucleolus and to mediate the interaction between ZFP106 and testis-specific gene 118 (TSF118). 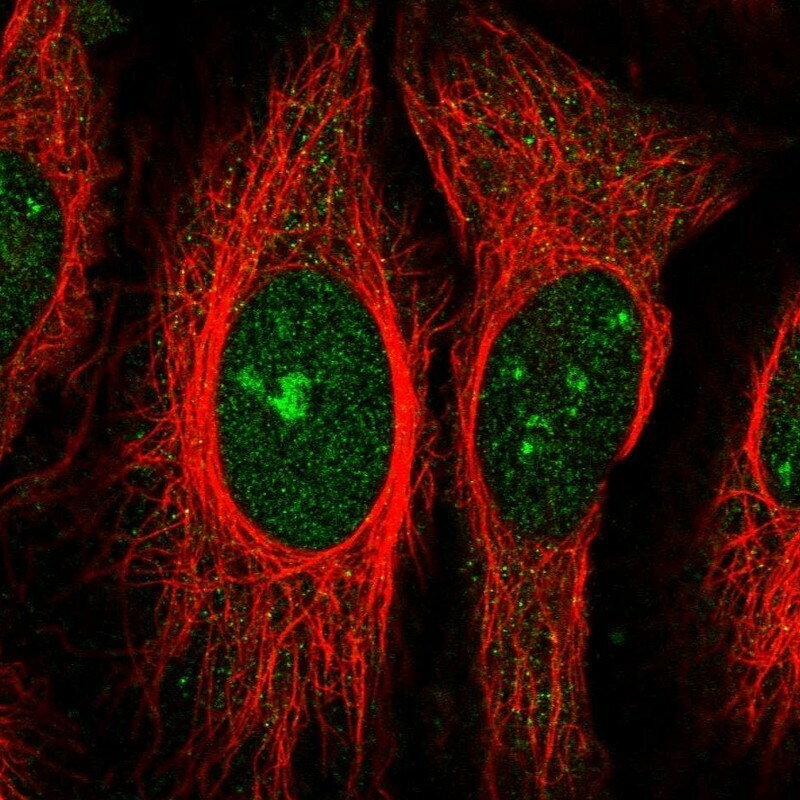 A two-hybrid screen has identified testis-specific Y-encoded-like protein (TSPYL) as a ZFP106 interacting protein. These data suggest an important role for ZFP106 in testis development. Discover more about diseases related to ZFP106. Discover related pathways, diseases and genes to ZFP106. Need help? Read the Bioinformatics Tool Guide for instructions on using this tool.